Value optimisation of scrap. Transparent way of working, custom logistical solutions. From one-off clearance to a total peace-of-mind services. Dismantling of (offshore) structures, safely and responsibly. We recycle ferro and non-ferro materials. So we keep valuable raw materials in the chain. Every year we process around 500,000 tons of material, originating from collectors, scrap companies and metalworking industries throughout Western Europe. Jansen optimises the value of your scrap and offers custom logistical solutions. From a one-off clearance of scrap released from a production process to the full-service outsourcing of your entire scrap management. Current prices, correct settlement and fast payment. We buy all sorts of scrap from small and large traders in Western Europe. Transport paid or collected by us. We provide peace of mind to waste service providers with our scrap services. Our extensive experience reinforces the proposition of waste service providers and makes the difference in landing or keeping a client. We process all our scrap into secondary raw materials for steel producers worldwide. Thanks to our economies of scale and our expertise, we supply factories continually with secondary raw materials of outstanding and consistent quality. Jansen optimises the value of your waste metal and offers custom logistical solutions. From a one-off clearance of waste metal released from a production process to the total outsourcing of your entire scrap management. We buy all sorts of scrap from small and large traders in Europe, transport paid or collected by us. Current prices, correct settlement and fast payment. With our scrap services, we give peace-of-mind to waste service providers. Our extensive experience reinforces the proposition of waste service providers and makes the difference in landing or acquiring a client. We process all our scrap into secondary raw materials for smelters and final processors worldwide. Thanks to our economies of scale, we supply factories continually with secondary raw materials of outstanding and consistent quality. Our dismantling yard in Vlaardingen has an open connection with the North Sea and its own harbour basin. The site is fully liquid-proof. We have all permits to dismantle large and complex structures safely and responsibly. Jansen Recycling Group is a strategic partner for larger demolition firms. This is down to our transparent way of working, the custom logistics work and our up-to-date and competitive prices. 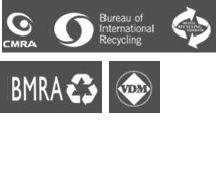 Jansen Recycling Group offers large industrial clients total peace-of-mind when it comes to waste metal. Key benefits: custom logistics, outsourcing of internal collection, up-to-date market prices and risk management. Jansen Recycling Group has many years of experience in transporting ferrous and non-ferrous metals. Thanks to our extensive network, we have a large container inventory. We work together with reputable national and international transporters and shipping companies. We can unload fast, efficiently and safely at Jansen Recycling Group. They employ friendly and helpful people on both the weighbridge and in the yard. They really know what they're talking about. Why you should do business with Jansen? On 28 March, it was announced that Jansen Recycling Group has acquired all shares in haulage company Bas Kooij Transport. In a report drawn up by Aeternus Corporate Finance, Jansen Recycling Group came out top of the list. Jansen Recycling Group put a third weighbridge into service at the Dordrecht site in October. Feel free to visit our yard!